PLEM Buoy Replacement - Global Diving & Salvage, Inc. 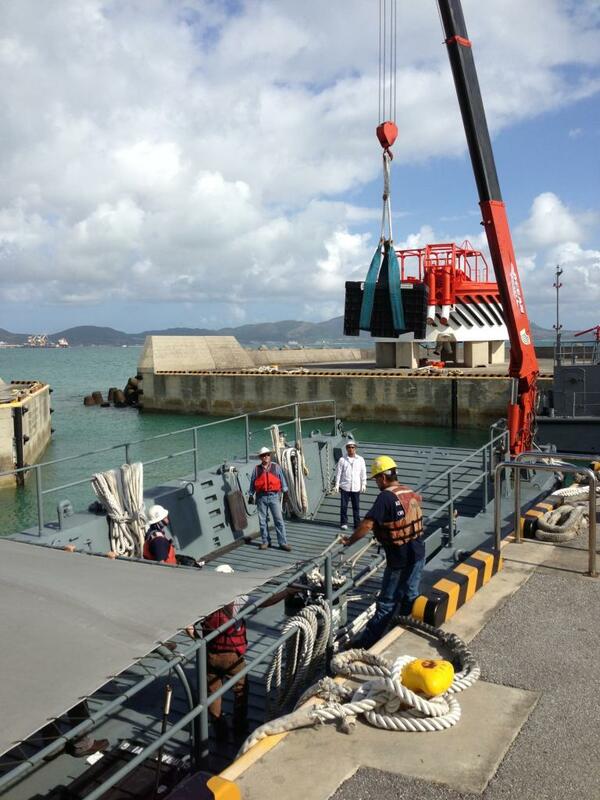 Global completed a large multi-year project to assist with the inspection, survey and replacement of an existing PLEM (pipeline end manifold) in Okinawa, Japan. The buoy and related piping were located in 75 feet of water, approximately a half mile offshore from USMC Base Camp Courtney. The initial part of the project involved complicated logistics to deliver a deep air diving system overseas, and to provide subsurface metrology solutions for the construction of a new replacement structure on the sea floor. While on site the existing steel components were carefully documented; ultrasonic thickness readings and corrosion inspection of the existing infrastructure was performed. 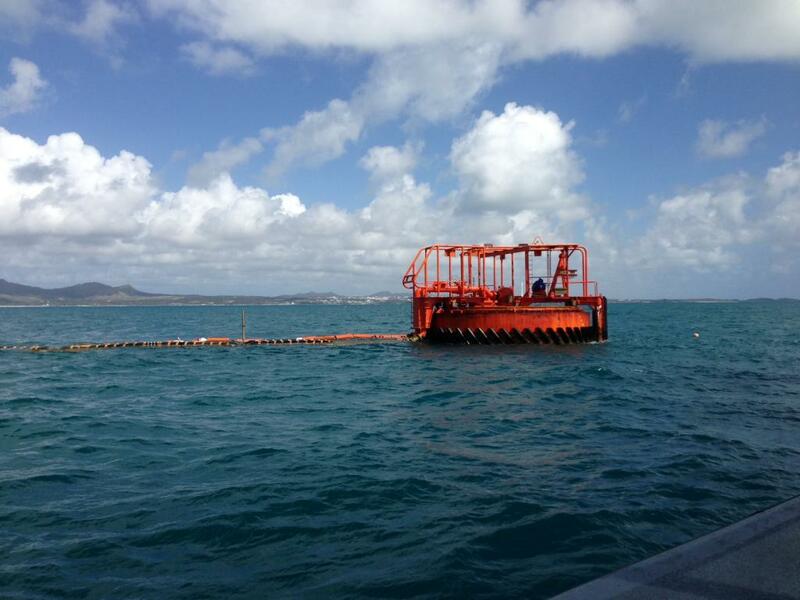 The crew also inspected the existing multi-buoy mooring (MBM) system, made up of buoys, chains and anchors. During the inspections, two abandoned “ghost” pipelines were discovered. Topside sonar surveys had failed to detect these abandoned pipelines. It was imperative to fully identify these in order to determine whether their location would interfere with the replacement anchors and chain of the refurbished MBM system. Divers also had to be mindful of the local poisonous marine animals while working underwater. Lion fish and the highly venomous stonefish had settled around the flanges and valves of the existing structure. 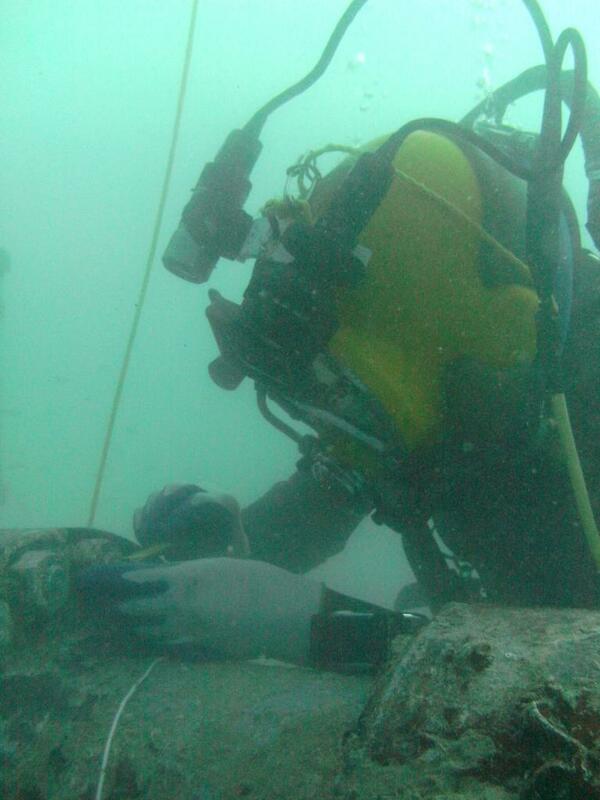 The divers had to proceed with extreme care during the work, going so far as to remove all rocks on the seafloor around the work area in order to identify camouflaged stonefish. The information gathered during the first phase of the project was used for the fabrication and installation of new PLEM components. Prior to demolition of the old manifold, existing lines were pigged from shore to ensure no leakage of product. The existing base plate, manifold and anchors were removed. The bottom material was prepared and the new base plate was set in position. Then the manifold was set in place and secured to the base plate. Metrology solutions were developed and spool pieces were custom fabricated on-site to connect new manifold to the existing pipeline. Once all connections were made, the new PLEM buoy was anchored into position and hoses were connected. The pigs were then sent back to the beach and the entire system was pressure checked.